3. In vitro or In vivo Study? 2. In Which Circulating Cell Type Should Relative Lysosomal Volume Be Measured? 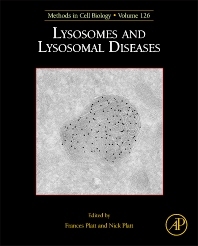 This new volume of Methods in Cell Biology looks at methods for lysosomes and lysosomal diseases. Chapters focus upon practical experimental protocols to guide researchers through the analysis of multiple aspects of lysosome biology and function. In addition, it details protocols relevant to clinical monitoring of patients with lysosomal diseases. With cutting-edge material, this comprehensive collection is intended to guide researchers for years to come. Prof. Frances Platt obtained her PhD from the University of Bath, UK, and was a post-doctoral fellow at Washington University Medical School in St. Louis, USA. She was a Lister Institute Senior Research Fellow and a Reader at the University of Oxford. 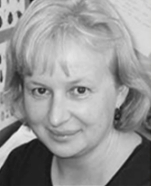 Prof. Platt’s main research interests include the biology and pathobiology of glycosphingolipids. Her research led to the development of miglustat for the treatment of glycosphingolipid storage diseases. In 1999, Prof. Platt was awarded the Alan Gordon Memorial Award and the Horst Bickel Award for advances in metabolic disease therapy. She was elected a fellow of the Academy of Medical Sciences in 2011. Dr Platt obtained his PhD from the University of Bath, UK and was a post-doctoral fellow at Washington University in St Louis. Since his return to UK he has worked at University of Oxford in the Sir William Dunn School of Pathology and Nuffield Department of Medicine. He has very recently become a senior research fellow in the Department of Pharmacology. His research interests are in innate immunity, particularly the role of specific pattern recognition receptors in immune and inflammatory responses.